We learn every day, every second in our life. But how much we can memorize for a long time? A study says, that we forget almost 45% of information or study within just one hour. It’s our brain processing system. All of the information in our brain for the first time is stored in our short time memory part and if we don’t repeat it several times it will not transfer to our brain’s long-time memory. So, what are the memory techniques for studying? Today we will discover some memorization techniques for students which will help you to memorize anything for a long time. Try to understand deeply what you are learning. If you can actually understand what you are learning you can memorize 10 times faster. This is popular memorizing techniques for exams. You should walk before the study or memorize anything in a natural place. It’s a researched proof that walking 10 minutes just before study will increase the chances of memorizing something 10 times more. When you want to memorize something try to make an interesting story of your learning information. Such as: If you are trying to learn a paragraph about mobile technology, make a nice story about it. It will surely help. Our brain can easily capture the visuality of colors. So you can easily point out the learning things and memorize if you use multiple color highlighter and underline your textbook. This is called visual memorization techniques. The popular memorization tricks are teaching others after learning. Have you remember a quote, “Practice makes a man perfect.” Yes, it's true study tips. Try to teach your learned subject to others. Doing this, your learned topic will stick in your brain for forever and you can also earn some money. If you don’t have any student to teach you can start blogging to spread your learned things worldwide. Just keep Repetition. The things we love or feel emotional attraction are very easy to memorize and it will store in your brain for a long time. So, love your reading subject or make it loveable and funny to read. Whenever you get change or draw a nice/funny picture of your study. It will surely help to stick in your brain for forever. Because writing just after learning is helpful to memorize any information 10 times faster. This formula is personally tested on me when I was a schoolboy by my mom and my home tutor. I think this is the best study methods. Right now, I am Missing my teacher. ALSO READ: Which Foods Work Like Medicine? Do not ever try to learn anything for day long or full night. Our brain needs rest so you should not force your brain. The perfect time to memorize something is from 4 - 10 PM. These time our brain works best. As I said just before our brain needs rest enough. Try to sleep at least 8-9 hours in 24 hours. If you do not sleep enough your brain performance will reduce day by day also decrease your memorize ability. The below table is showing how to learn faster and remember more. The first repeat = Right after learning. Second repeat = After 20-25 minutes. Third repeat = After 10-11 hours. Fourth repeat = After 24 hours. Fifth repeat = After 01 day. After fight repetition, keep continuing the repetition process of your memorized things every day at least one time in a silent place. Hope this post helps and you like these best way to study and memorize. 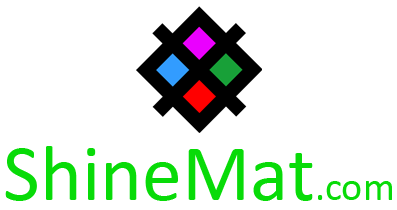 We hope you will share our post with your friends. 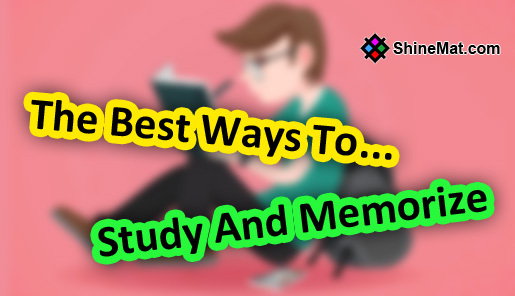 If you have any idea about memorization tips for studying, simply leave a comment below. Stay well and Allah Hafez.